Pro-Floor® is the superior flooring system range designed to create the ultimate in event floor solutions. 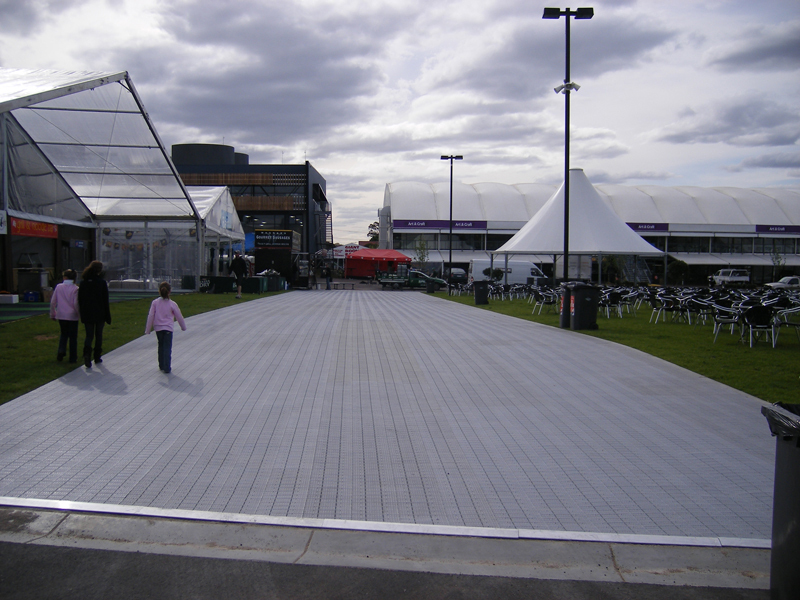 The Australian-made range features Pro-Floor® EF (Event Flooring), a lightweight portable flooring that stands up to large crowds while protecting valuable underlying surfaces.This resilient flooring system suits surfaces ranging from ice arenas and indoor surfaces to synthetic turf grass and natural grass and is ideal for stage flooring, marquee floors, carnivals, expos, festivals and major events. This clever and tough, slip-resistant flooring system is easy to assemble and works in both wet and dry conditions. Pro-Track® is a strong and flexible floor protection tile renowned for its durability. These versatile floor and turf protection tiles are ideal for heavy loads as garage flooring or access roadways. 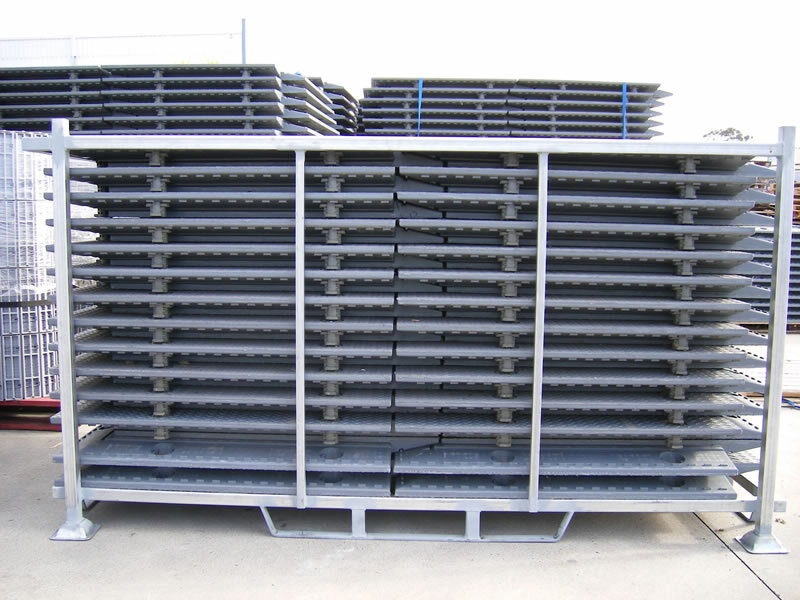 Able to withstand the heavy impact of trucks, aircraft, forklifts, earth-moving equipment, machinery and cars. 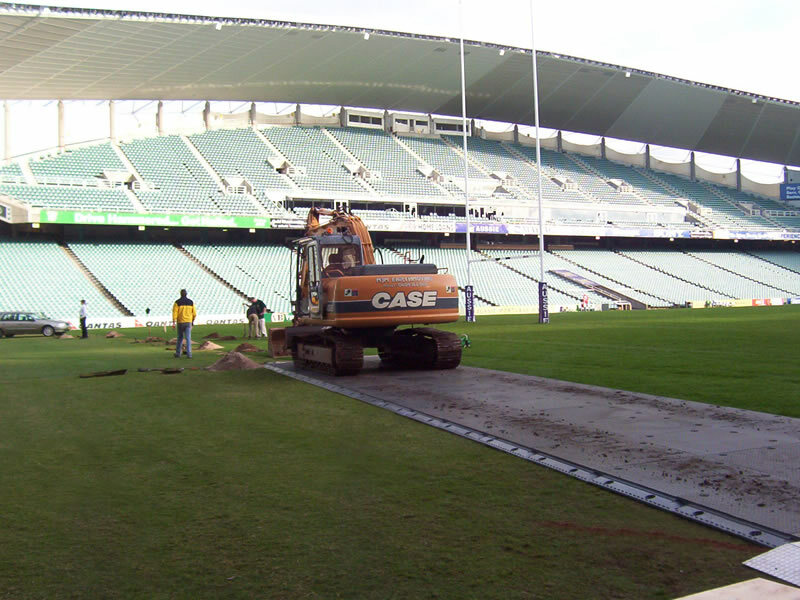 Pro-Track® is the ideal foundation for machinery exhibitions, vehicle and aircraft displays. 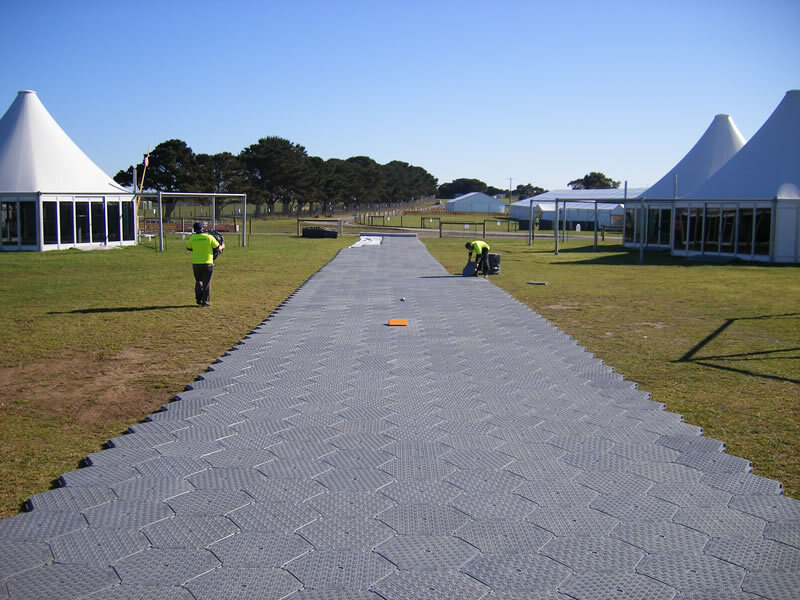 Quick and easy to install, Pro-Track is heavy duty ground protection that also accommodates uneven ground. 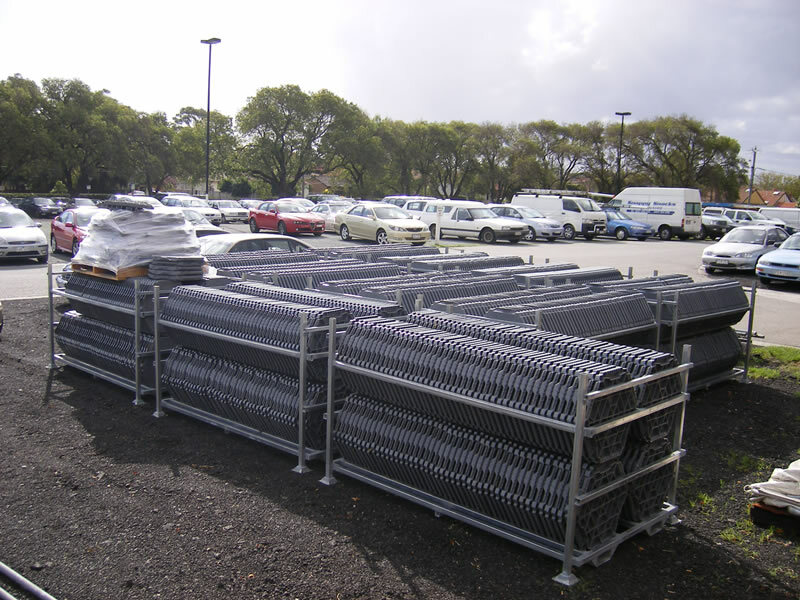 Accessories: Geotextile underlay and custom built ramp systems available. Pro-Zone® is the ultimate in heavy-duty protection mats. 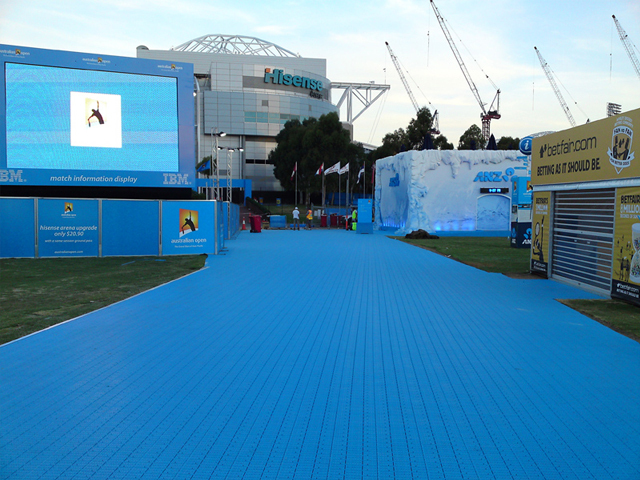 This impressive outdoor matting is designed to distribute heavy loads and protect surfaces, providing access and temporary roadway solutions for stage construction, maintenance and vehicle movement over sensitive surfaces. Pro-Zone® floor protection mats work for extreme traffic loads and are ideal for heavy vehicle roadways, withstanding the weight of equipment, forklifts, trucks, semi-trailers, military and construction vehicles. Download the Event Floor brochure (636KB PDF document) for more technical information on each of these products.